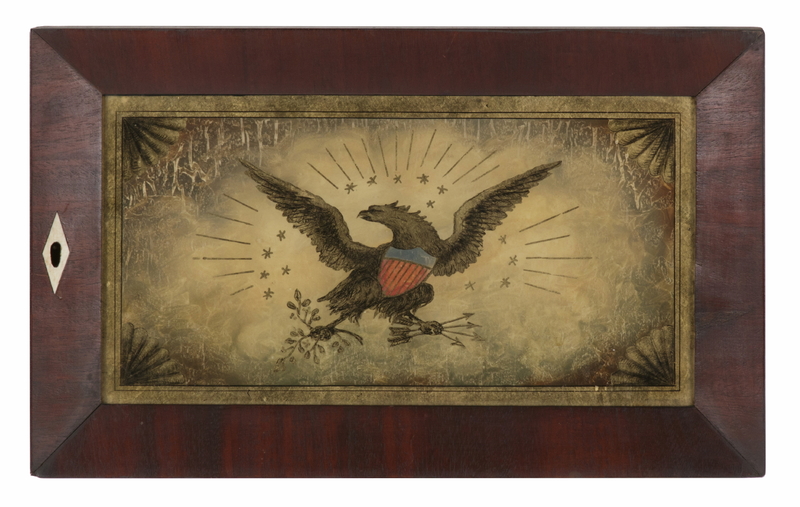 Dimensions (inches): site - 5.5" x 10.5", frame - 8" x 13"
Reverse painted and gilded clock door with an outstanding central image of a federal eagle, from which emits rays of sunshine. 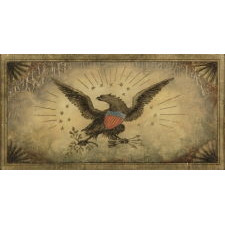 Clutching an olive branch and arrows, the eagle is set amidst 15 stars. In each corner is a seashell. Most of the imagery is gilded in gold, save for the red and blue of the shield. The background is gold and ivory with sea foam green and a blood red cast, like a sky of clouds with the sun forcing light from behind. 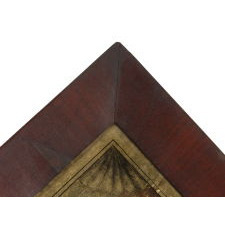 The mahogany veneered frame is typical of Églomisé mantle clocks from the late Federal period through the 1850's, and is just like what is seen on Kellogg and N.Currier engravings of the mid-19th century. 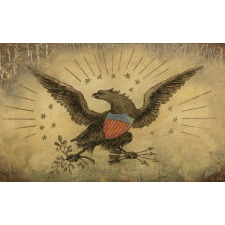 The eagle is extremely attractive and likewise typical of this era. There is a bone or ivory escutcheon on the keyhole. The count of 15 stars does not reflect the period in which the painting was executed. 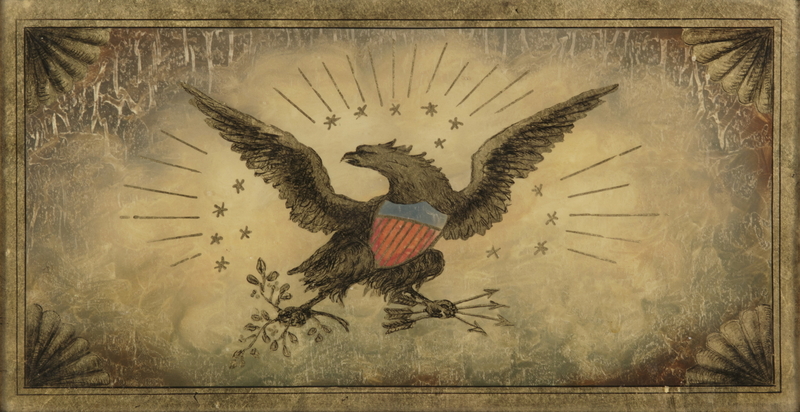 This was probably copied from an earlier image, perhaps an early version of the Great Seal of the United States. Kentucky joined the Union as the 15th state in 1792. The 15 star flag became official with the Second Flag Act in 1795 and remained so for more than 20 years, until the Third Flag Act was passed in 1818. 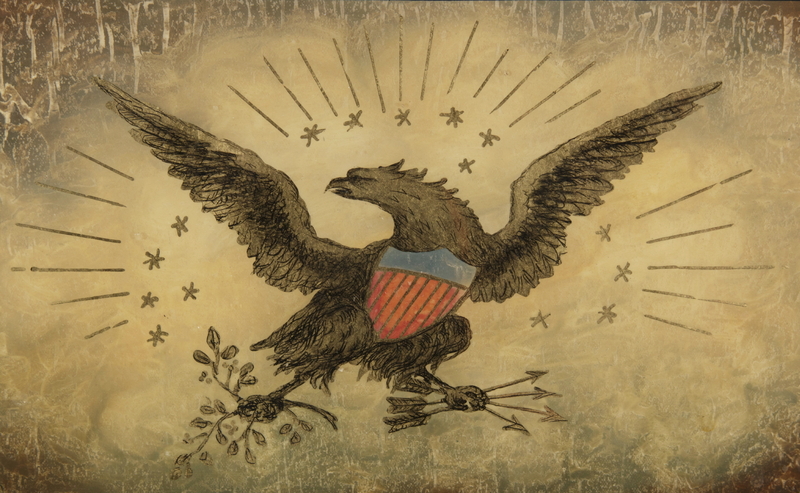 In the wake of the Revolutionary War (1775-1783) and in an era encompassing the War of 1812 (1812-1814), many patriotic images were produced. These reappeared regularly the decades to come as the nation grew and flourished. 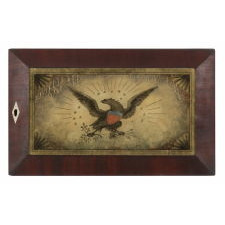 A wonderful, early addition to any collection of Americana and folk art. Great in a collage of flags and related objects or on its own. 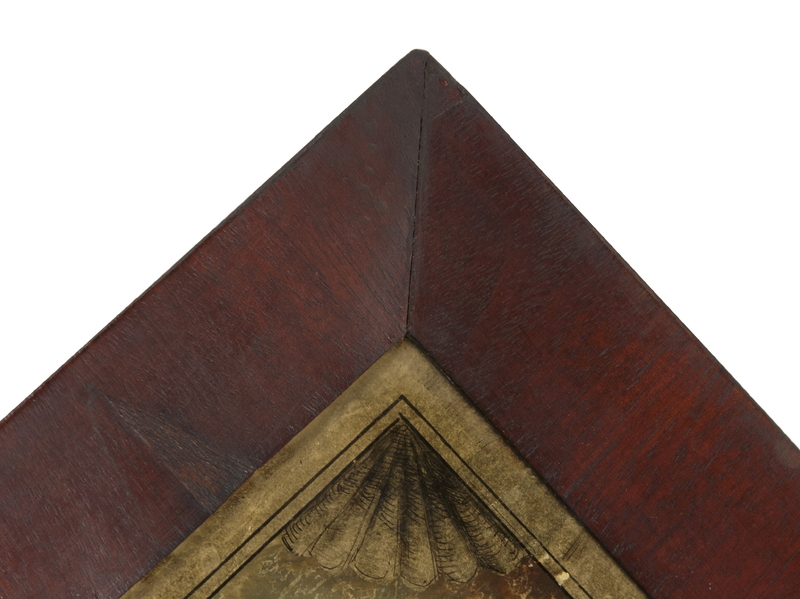 Condition: The frame was refinished at some point and has minor repairs, though it retains nice, early color. There is some alligatoring of the painted and gilded surface, though it adds rather than detracts from the presentation.